To get a better idea about NancyFx framework, I followed the journey in the book Instant Nancy Web Development. 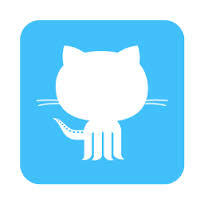 The code I’ve put together is available in GitHub. It showcases some aspects of the framework, like its lightweight nature, no frills setup, dependency injection and quite elegant Domain Specific Language. The framework also allows easy addition of extra capabilities like unit testing, Razor support etc using the number of Nuget packages available for it. The site created by the code, a WIP at the moment, is a very limited Todos list manager which currently just allows adding items to the todo list and viewing them, as given in the book mentioned above. The major deviation from the book has been implementing the data store as XML store, something I’d always wanted to give a try. For unit testing I’ve used NUnit framework instead of xUnit used in the book code samples. The unit and integration tests have been separated into different projects in the solution and mocking using the Moq framework has been added where possible. The usage of XML store has necessitated injection of file path provider for the file to store the XML data in, set for App Data folder. The path is currently hard coded but can be easily moved to config. One file will be created for each object. For integration tests the location is changed to temp path folder. This implementation is suitable only for small projects or POCs and is unlikely to fulfil the needs of anything more demanding. Modules are the workhorses for NancyFx and the one implemented for this project: TodosModule allows deletion, listing, adding and amending to do items by the following lines in its constructor. The binding and content negotiation used by this is automatic. The above shows the sheer simplicity of coding using NancyFx. Sticking to the REST principles facilitates creation of modules that don’t do too much. What also helps is the access to pipelines that helps keep most cross cutting concerns out of the modules. For example, the following code in the PipelineExtensions class logs all requests and all response codes. This is in contrast to having logging calls peppered in all the methods. Methods similar to above log unhanded exceptions and set the current user on the context being passed to the modules. These are all called in the Bootstrapper class, that overrides a default class provided by NancyFx to setup application wide concerns like logging, dependency injection, conventions etc. This finishes a brief first look at NancyFx, more in later posts.